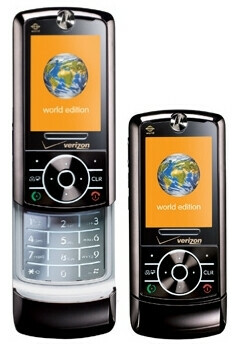 This week, Verizon released the Motorola Z6cx World Edition phone. The only difference between this model and the standard Z6c is that the Z6cx lacks the built in 2MP camera. We can only guess that this was done because some people are not allowed to bring a camera phone to work (such as government employees) or into restricted/security areas. Both the Z6c and Z6cx are currently being sold by Verizon Wireless for $179 after rebate with a 2-year contract. You can read our full review of the Z6c phone here. THis is just another piece of garbage that is produced by one of the world's worst companies in cellular technology and it is just stalling the inevitable: REAL phones that should have come out months ago like the Glyde, VX 9700 and the 9100. Why Verizon is just too scared and cowardly to show out their real line-up is way beyond me. Worst yet, the consumer, which is the backbone of the company, stand for all this. Swear to you, if Verizon didn't give me a damn good government discount, I would be long gone. I have to use them because at my job, they are the only carrier who works. God figure. You take the good, you take the bad, you take them both and there you have Verizon Wireless. It is in my option that Verizon won't release all the new cool phones for two reasons; obsolescence, and product testing. Why would Verizon release so many devices that have similar functionality as the Voyager at the same time? It is stupid for a business to have product competition within its own company at the same time. The release of the Voyager was a first for Verizon. 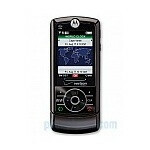 It combined every service the carrier provides for a non-PDA phone, plus extras; TV, touch screen, VCast, HTML browsing, etc. The VX9700, is going to be a more comprehensive touch model with less features, and the 9100 is just a remodeled enV. Verizon needs to sell inventory of the Voyager because demand was so damned high at launch that LG has been manufacturing them non-stop since the release. Now there are many in stock, as stores can finally sell them, because the market for the device grew stale as the early rush died down. Why throw some more devices in the mix that will bring in less revenue, because the phones will actually be a little cheaper, and with fewer services, bring in less money to the company. Verizon isn’t stupid, just greedy. Verizon also has more thorough product testing than any other carrier, which is why it takes so long to release devices as well. Would you rather have a phone that works, or the latest thing from AT&T and Sprint that vomits all over itself for 6 months, then works… kind of? Cell phone manufacturers need to learn a lesson from Verizon and stop spitting out garbage to entice the consumer before it is adequate to be released on the market, or other Carriers need to learn from Verizon and turn down the garbage that is flashed in front of them until it is ready. I hate people who complain and I hate people who are ignorant and complain even more. Think before you speak. If you hate Verizon so much, go to AT&T or Sprint, I am sure you will hate them more. I don't want or need a phone with a camera in it. I want a phone that works well as a PHONE. I already have a 10.1 MP camera if I want to take pictures. I've never seen a picture off a cell phone camera that was worth taking yet. I've seen all the wonder gadgets like iPhone out there and they generally do nothing well. Verizon's CDMA network is the most reliable in the world and the Z6cx I own is a nice solid phone that works well in this network and supports GSM around the world as well. Doug D.